Students can choose from more than 2,000 courses and 80 academic concentrations. The student-to-professor ratio is 7:1. There are over 70 special seminars capped at 20 students just for first-year students. 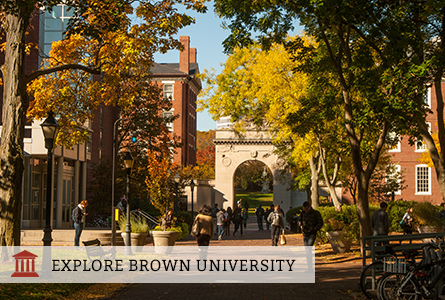 Brown offers the Program in Liberal Medical Education, an eight-year combined A.B./Sc.B. and M.D. program. Advising is available for students pursuing pre-med or pre-law. About 30% of the junior class studies abroad each year in 75 different countries.